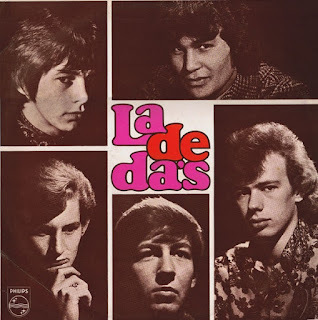 "The La De Da's" were a leading New Zealand rock band of the 1960s, formed in Auckland, New Zealand. In January 1966, Eldred Stebbing invited the band to record a couple of songs he had from the US that he thought could be local hits. The songs were "How Is The Air Up There" and "Pied Piper". The single came out on the Phillips label in late February and was an instant hit with Auckland teenagers. In November 1966 released their debut album "La De Da's". The 14-track album was a collection of stage favourites, although their stage repertoire was about 50/50 originals and covers, the album was all covers. Nevertheless, it was a winning mixture of pop, soul and 12-bar blues, including The Small Faces' "Hey Girl", Sam Cooke's "Shake", "Land of 1000 Dances", the Bacaharach & David hit "Little Red Book", the ubiquitous "Bright Lights, Big City", Mose Allison's "Parchman Farm", Screaming Jay Hawkins "I Put A Spell On You"(sung by Kevin Borich).